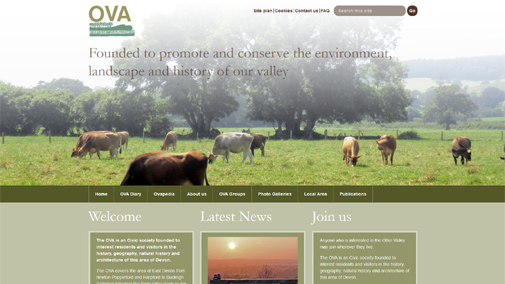 Otter Valley Association were already a website client of Cosmic's, but approached the web team because they wanted a cleaner looking website which was easy to manage. They required a searchable directory of local archives, split into local villages and centuries. They also required an events module to display latest walks, talks and general events in the area. Cosmic produced a content management system website to cater these needs with a design showing off the beautiful landscape of East Devon.